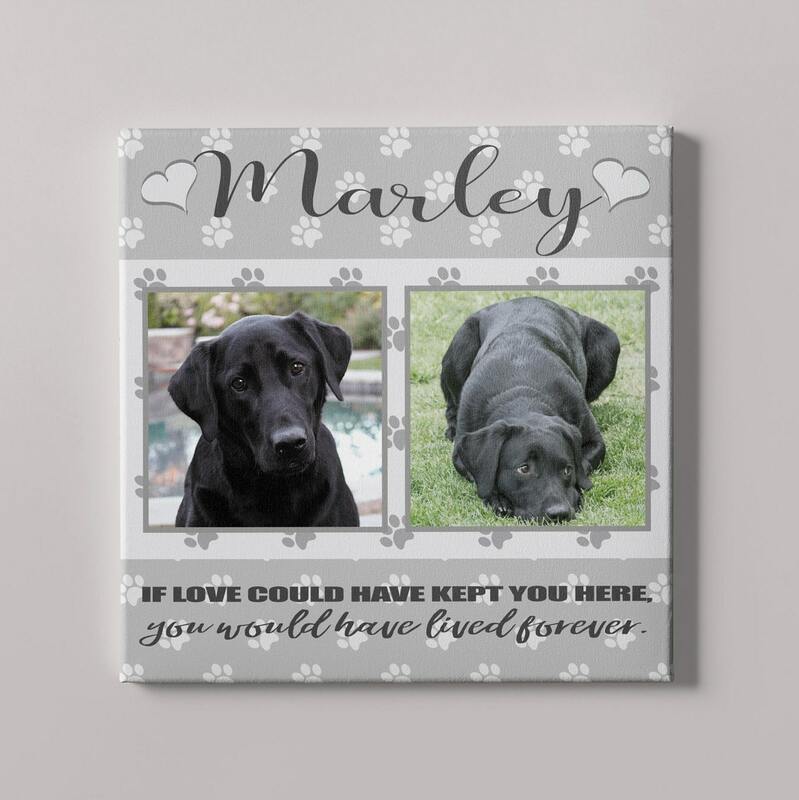 This is sweet and memorable, personalized design on a stretched canvas makes a wonderful memorial for that pet you loved so much. This design will be printed using archival ink that we assemble by hand. It will bring back the most touching memories every time you look at it. --This will be a stretched canvas with the design wrapping around the sides of the wooden frame. However, we will ensure that nothing significant gets hidden. --Please provide the pet's name in personalization box when you check-out. --Please email your two photos to TheEnchantedEnvelope [!at] gmail.com. Do NOT crop or edit your photos in anyway. I will handle that. While photos taken from a camera work best, phone photos will work as long as you email them to us at the HIGHEST resolution possible. Send them at "actual size" if you are sending phone photos. --Do NOT send screen shots. --You will be prompted to make this selection when you check out. Amazing work Mandy!! Pamela loved it & did an awesome job capturing Freebie's beautiful soul! I couldn't ask for anything better!! Your store is amazing & I wish U all the luck in the world for great success! !